Full confession: I am actually a country girl in my heart of hearts. But living in this beautiful city of Paris is amazing: we walk everywhere, the city is full of life and stimulation, we live in a vibrant neighbourhood and the mix of different people from different walks of life is incredible. My kids are learning how to be street smart from a very young age and love this cosmopolitan life of ours. But we do live in an apartment, and though we are very lucky to have a little courtyard, space to play is limited. Wherever we have lived, I have tried to adapt the space so that the kids have as much space to play as possible. We have come up with some pretty ingenious solutions (if I may say so myself), which I wanted to share with you. You may remember the hatch that I built between my girls room in our new flat. But here are a few other fun things we installed. 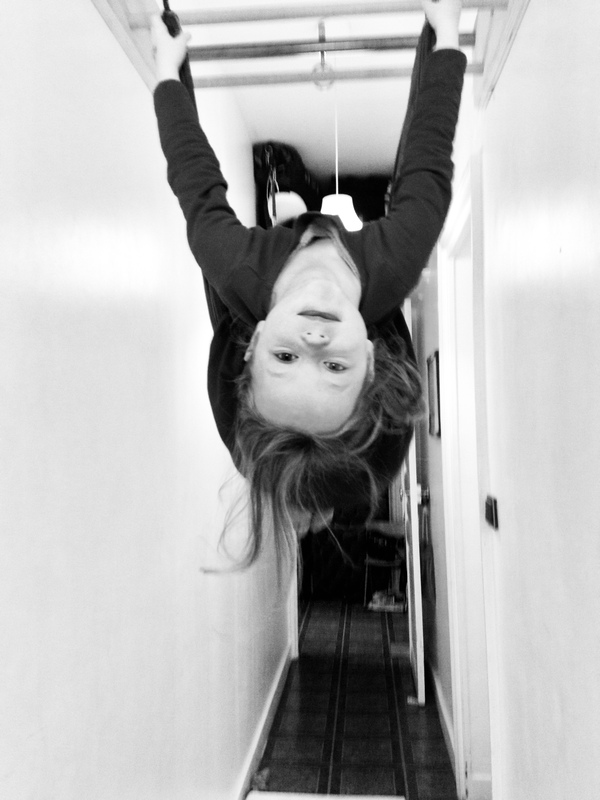 In our old flat we had a long, narrow hallway so we installed some monkey bars from the ceiling. They were excellent and we still miss them. The kids spent so much time on them that when people asked them what type of sports they did, they would say: Monkey bars! I also added a mezzanine in the girls room that was great when they were small. They each had their own space. It was equally used as a stage for performances and as a place to jump down from. I let the girls choose the colour of their walls themselves and they got to decorate it whatever way they wanted. It was awesome. In the new flat, the ceilings are unfortunately lower. The girls are also getting older and taller so their needs are changing. But we do have now a swing in one room which gets used by everyone, even me. 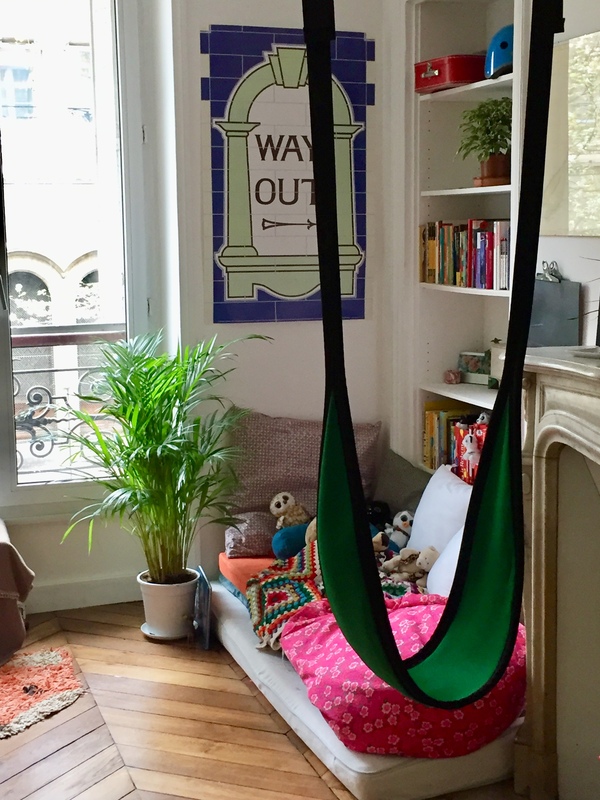 There is something seriously relaxing about swinging, and you cannot find them in any parks in Paris. I would love to hear if you have any fun installations for your kids in your homes? Emilie! I love your parenting style! So much fun! I love your swing! How did you install it? 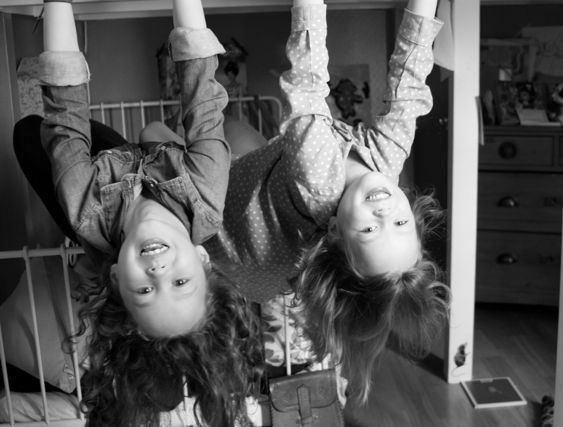 I’ve often admir d those swings but I’ve been concerned about destroying the ceiling. Thanks! We have a hammok frame with a net swing in it. This we placed in our sons room. He totally loves it and it is a attraction for all of his friends. we are also thinking of putting climbing sets on the wall, and maybe lego plates on one wall, so that he can make his own work of art on it. There are so many ideas what you could do. 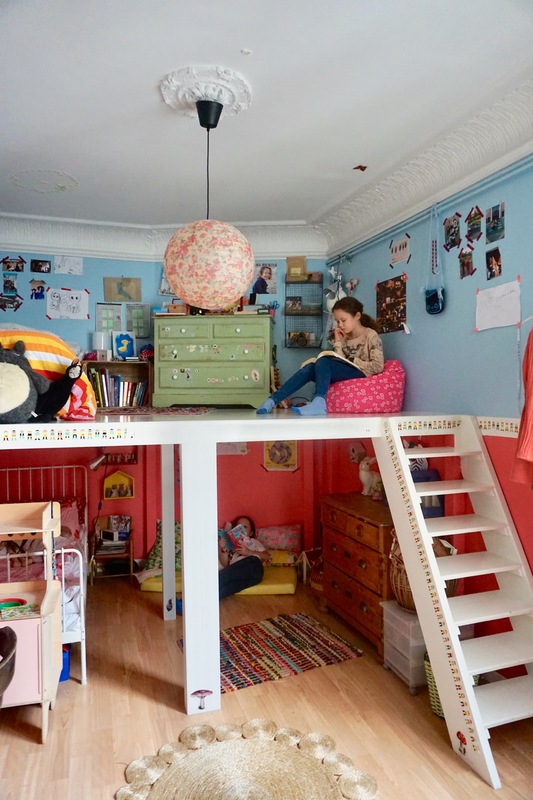 love your ideas emilia – such fun ideas which make your growing up so special.